Located just a few hundred yards from the Pacific Ocean, we are surrounded by dozens of great restaurants and shops. 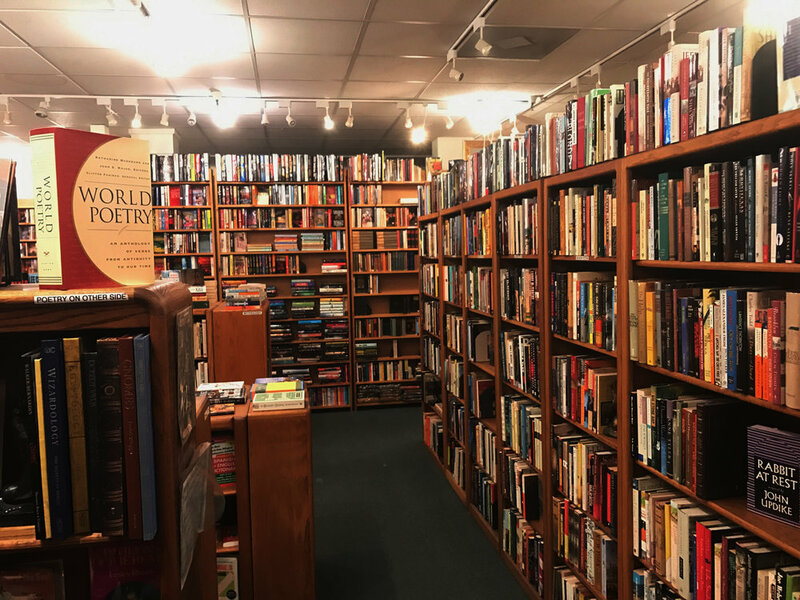 So make us your destination or part of your itinerary and bask in the ambience of one of the last remaining actual book stores in a world of corporate sameness and virtual mediocrity. Call anytime to check on a title you need or e-mail your wish list. A lot of books leave here under the radar as people have requested them so they never reach the shelves. So I'm always glad to help keep an eye out to fill in the holes on your shelves to create room on mine for incoming treasures. Whether you are donating, trying to sell books or in need of book restoration or repair, please call 760.518.3771 to make sure I'm in.